100% of donations will go for supplies for the schools (tablets, robots, etc.) or professional development for teachers. All donations tax deductible. Students practiced collaborative problem solving while writing programs in various forms throughout the camp. It’s easy to see the cause/effect relationship of programming when the program is a robot! Steve, Katrina, Fabiola, and Jonas ran the Kod Camp with students and teachers in Cap Haitien in April 2018. Steve taught students key terminology in coding like bogue (bug) and algorthime (algorithm). The students learned quickly and were persistent in learning from their “bugs”. Students were very patient about sharing limited resources and did an excellent job sharing the opportunity to try out their programming skills. On April 26-27, 2018 Konekte Haiti ran a two day Coding Camp for 8-14 year old students and teachers from local schools in Cap Haitien. After this initial introduction, our organization is working on securing funding to continue partnering with interested schools to continue a coding curriculum. July 26 & 27, 2018 Konekte Haiti has the opportunity to host a Coding Camp in Port Au Prince. Details coming soon! Konekte Haiti will invite schools to apply for partnership. Schools will be accepted based on their application and available program funding. 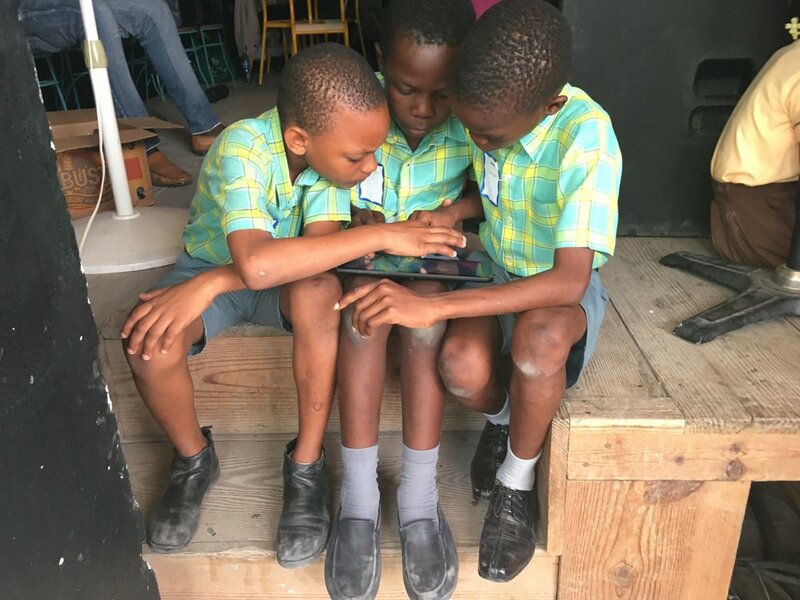 June 2018 - Konekte Haiti invites schools to apply for partnership. August 31, 2018 - Schools notified of application status for this school year. September 2018 - Partnership begins.